My first ever role in Logistics was with a (then) medium sized American trucking company called Falcon Transport, working for their new logistics division, Comprehensive Logistics Inc. (CLI). This was back in the early to mid-1990s when General Motors, as well as the remaining Detroit ‘Big 3’, decided to take a page out of the works of Dr Deming, and the TPS Handbook and get back to their core competency of building vehicles. To do so, they moved towards outsourcing their logistics and transport activities to what was then referred to as LLPs, or Lead Logistics Providers. These became what is termed as todays 3PL. CLI didn’t have any other LLP contracts at the time. They were new, fresh, a bit small and up against seasoned North American conglomerates like Ryder Logistics, Penske Logistics and TNT Logistics. What was even more amazing was that this smallish, hometown and privately-owned organization won the contract with the behemoth General Motors Lansing Car Assembly located just outside of Detroit and was at that time building 1800 cars a day over just two shifts! Adding even more complexity to the landscape was that fact that the body assembly, paint and trim lines were geographically located 6 miles across town from the engine and chassis assembly plants. This meant specialized trucks/trailers hauling completed and trimmed out bodies were constantly moving between plants all the while ensuring production never stopped. Just like the very best of TPS, GMs goal was to scale their inbound productive materials network back to real ‘Just in Time’ and real ‘Lean’. This meant suppliers shipping daily and to schedule across the country and globe, 24 hours a day, 7 days a week. Truck routes became Milkruns and truck drivers became Route Managers. Each was individually responsible for managing their daily load activities. This meant policing supplier adherence to order schedule and quantities, adherence to standardized packaging, the return of empty returnable containers in the right quantities, adherence to standardised barcode labelling, adherence to standardized palletization, and all within the scheduled window time, +/- 30 minutes, as allocated by the LLP. Compliance to each criterion was critical. The route was modelled, and truck was cubed based on these parameters, the assembly line was fed based on these parameters and virtually zero excess stock was kept on hand as a result. Further, it was an absolute requirement that all GM LLPs redesign their entire networks quarterly ensuring continuous efficiencies, as well as collaborate with their competitor LLPs to create synergies and cost-downs throughout the entire North American network. At this point, I am only covering the ‘basics’ of our role as GMs LLP. 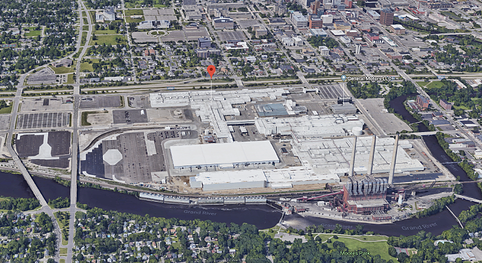 Over time our operations continued to evolve as we became intertwined with GM North American Logistics (Detroit) as a whole. Further service line requirements became our responsibility including owning and maintaining a huge warehouse, or series of warehouses, consisting of a deconsolidation center, a 24-hour plant shuttle network, an off-site small parts ‘supermarket’ where GM owned the inventory so Min/Max buffering and management was a MUST. We ran off-site sequencing operations based on a real time electronic pull signal, a container management center where turnaround and FIFO were another MUST and included the handling, cleaning, repairing and logistics of providing returnable packaging back to the suppliers’ in scheduled quantities, and metal kitting operations supporting the body plant also on real time electronic pull. Every model year operations were significantly changed and impacted and therefore the LLP became an integral part of the procurement, packaging, plant engineering, manufacturing and production control planning teams. In the late 1990s, and while the LLPs and RDCs (Regional Distribution LLPs) of General Motors North America became a well-oiled machine, Schneider Logistics visited Detroit with a proposal to become GMs 4PL tasked with managing further efficiencies out of the network and the LLPs, as well as the overall global supply chain and finished vehicle distribution networks. 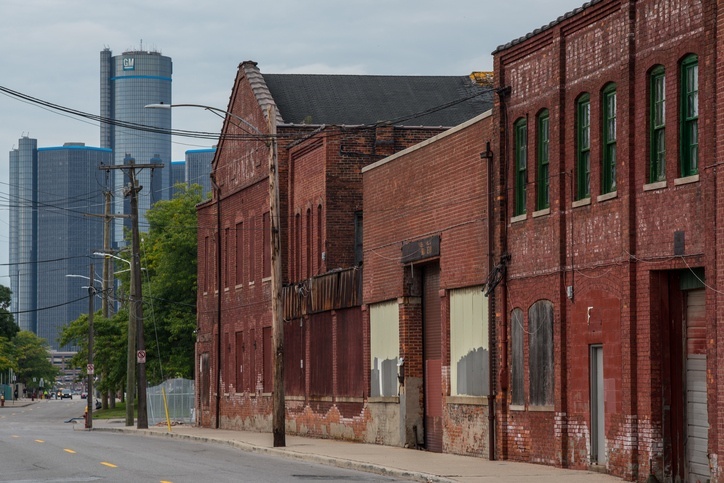 This idea launched a full campaign at GM Global Logistics, Detroit to explore the idea and potential opportunity for further efficiencies and cost savings. A decision was made, and a formal tender process was conducted. To Schneider’s dismay, the contract was awarded in December 2000 to a company called CNF. At that time, CNF owned Con-Way Transport, Emery Worldwide and Menlo Logistics. The deal became a joint venture company called Vector SCM (VSCM), with 40% ownership by GM and 60% operating ownership by CNF. The model was based on gain-share and was intricately established to assist GMs role out of their new Global Platform OTD, Order to Delivery. Any cost savings developed and implemented by VSCM would be shared between the two companies on a 60/40 basis (less certain pre-agreed costs). I went to work with VSCM shortly after their implementation and found myself managing LLPs like my previous employer, CLI. Uncomfortable to say the least. VSCMs first task was to take over management of the North American LLPs and RDCs on behalf of GM North America which became GM Global Logistics and conduct a North American Network overhaul. Following the operating criteria of the JV, a business case was developed, presented and signed off by GM. This was VSCMs first ever project and a success saving GMNA ~$50m in logistics spend per annum! Further business cases were developed, an International Team and a Global Ocean team were implemented, as well as a Rail team and a highly skilled team of Logistics Engineers. Smaller operations were established in Europe, South America and Asia-Pacific; however, these global teams didn’t make it as far as the North American Team for many reasons which would be a separate discussion in and of itself. During my years with VSCM, I had the privilege of rolling the EU countries into the International Inbound Materials Network (IIMN) and helping VSCM cultivate their very first commercial customer which was a contract in Australia supporting GM Holden and the new HFV6 program. It was my work in AP that landed me in Melbourne where I rode out just a year and a bit before GM notified CNF of their intentions to begin negotiations to buy out CNF and dissolve VSCM. In early 2007, Vector SCM ended with many of their employees taking permanent jobs back within the GM organisation. More to come on Erica and the evolution of the supply chain industry. Stay tuned.